HTML5 and social media sharing. 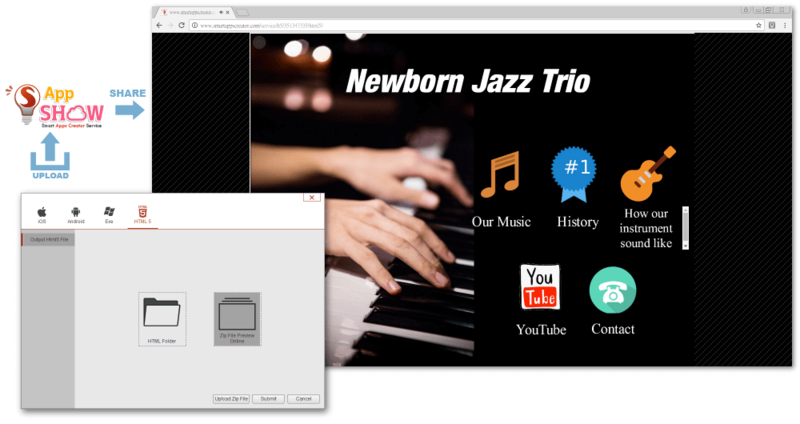 Smart Apps Creator 3 helps you Output apps to HTML5 format. Your app becomes cross-device and the time-consuming publish steps are saved; Upload your apps to AppShow. Share your apps to social media and view online. 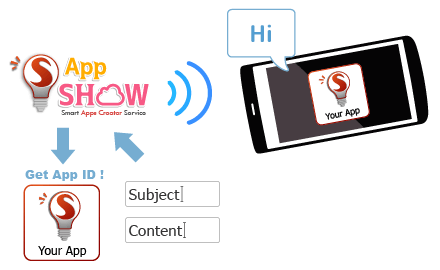 AppShow helps you upload HTML5 to server. Link and share your app is much more easier. Smart Apps Creator 3 Message Delivery function helps you send message to all your viewers on every device. Simply put an ID to your project and send your message on AppShow.